Walker & Dunlop, Inc.(NYSE: WD) announced today that it arranged construction financing in the amount of $218,242,000 for JW Marriott Bonnet Creek, a 516-key, luxury hotel and resort project located within the confines of Walt Disney World in Orlando, Florida. The total project cost is $282 million, and the total capitalization of $218.2 million (77.3 percent) comprises both senior and mezzanine debt. The project is being developed by DCS Real Estate Investments, an affiliate of Schar Holdings, which is a privately owned real estate development firm founded by Dwight Schar. The financing was arranged by a partnership of Walker & Dunlop's Miami capital markets team and New York-based SRF Ventures, Inc., which is led by President Steven Fischler. Walker & Dunlop's team includes Kevin O’Grady, Daniel Sheehan, and Eric McGlynn, all managing directors based in Miami, Florida, who have been active in structuring non-recourse construction loans nationwide for property types including multifamily, retail, and hospitality. The team also focuses on identifying providers of equity, structured debt, and portfolio financing for developers and value-add owners and operators. Throughout their careers, they have closed in excess of $16 billion of debt and equity transactions. 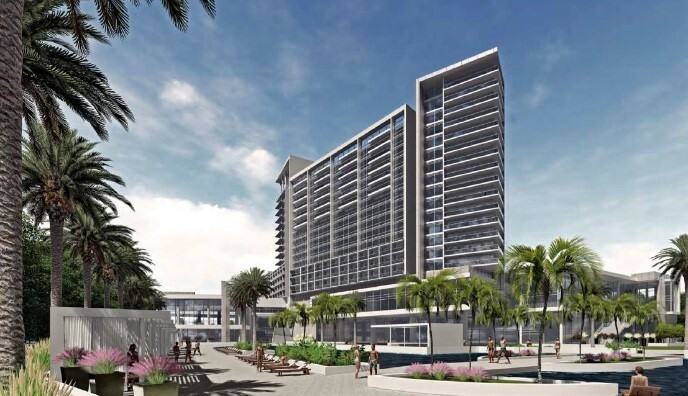 JW Marriott Bonnet Creek is expected to be complete in the fourth quarter of 2019. The 4.5-star luxury resort will feature full-service food and beverage options, 50,000 square feet of meeting and banquet space, business center, luxury spa and fitness area, and recreational facilities with lazy river and guest pools. The site of the hospitality project is strategically positioned with limited luxury hotel competition in the area. Bonnet Creek also enjoys convenient access to several local attractions such as Magic Kingdom, Epcot center, the Disney water park Blizzard Beach, as well as Universal Studios. Premium outlet shops, the Orlando International Airport, and major thoroughfares further contribute to the property’s prime location.